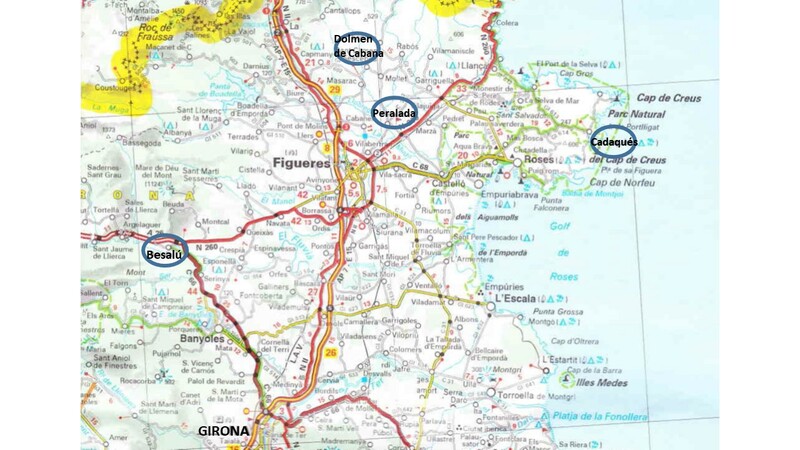 After having spent three weeks near Tarragona, we slowly drive back home. 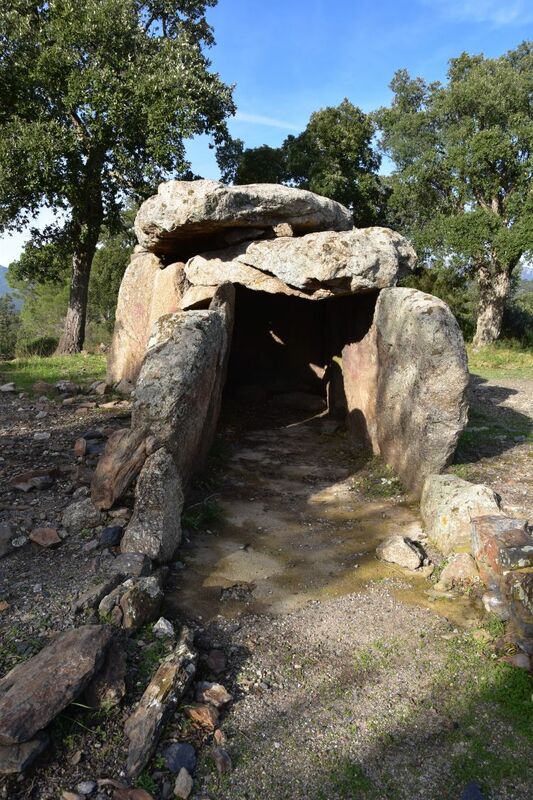 Now I will tell you about our visit to Besalú, to the Dolmen de Cabana and to Peralada on the way to Cadaqués. 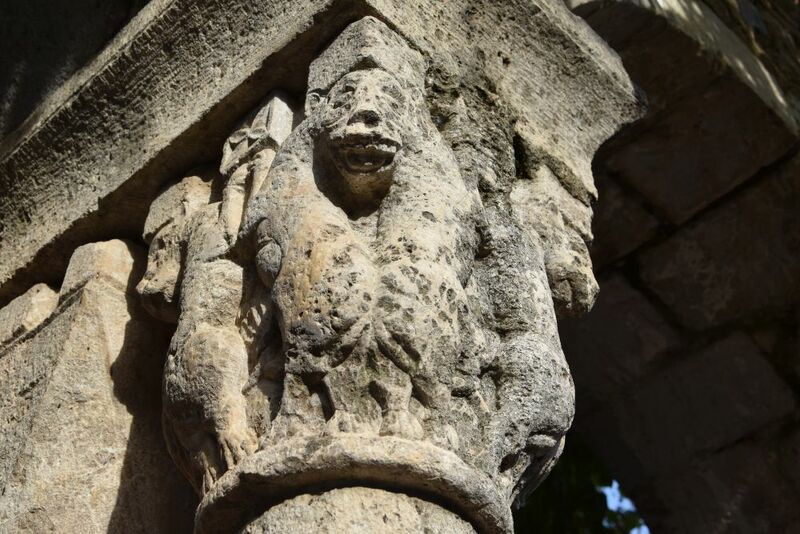 Besalú was an early reconquest of the Christians from the Moors. 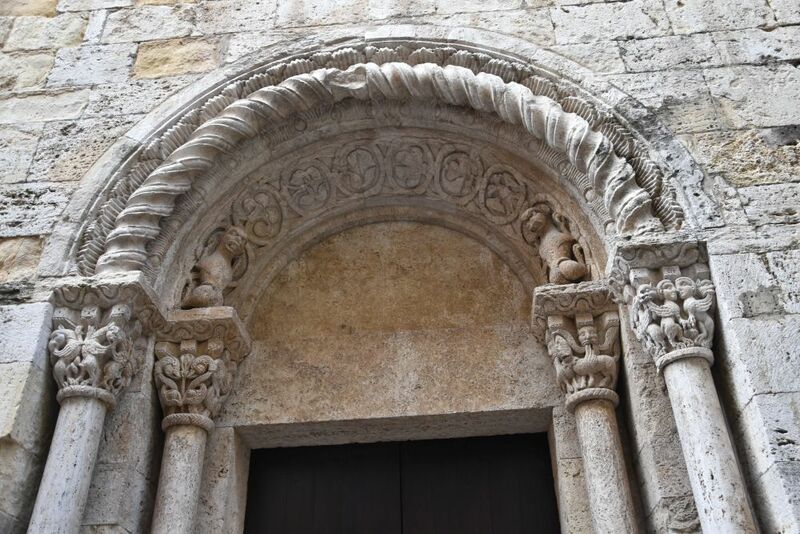 In 812, it was named the capital of a Franconian county in the Spanish March. 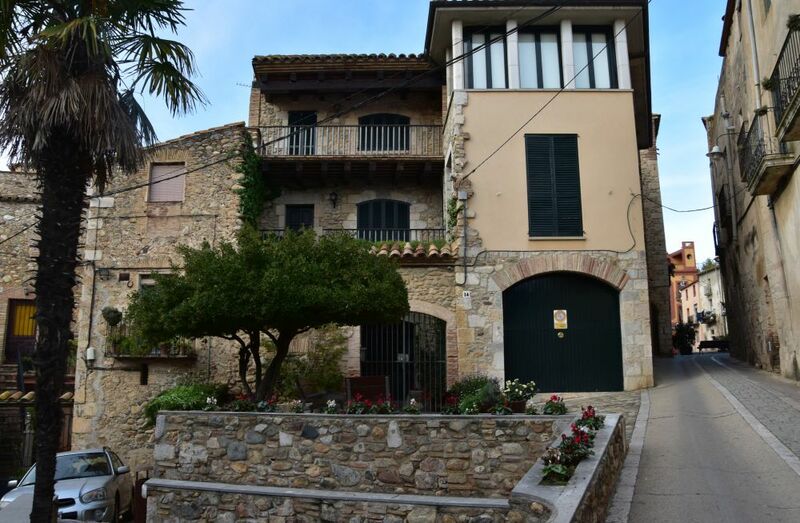 It was independent until the 12th century, when it became part of the county of Barcelona. 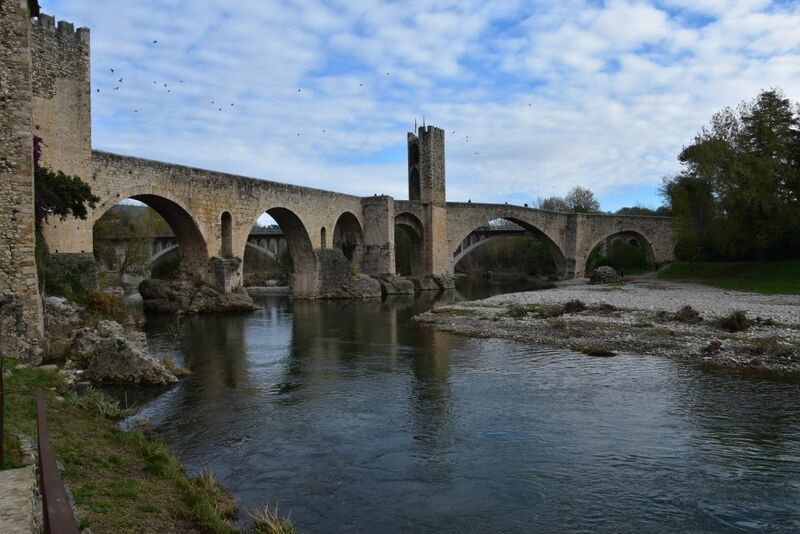 Besalú has been classified as a historic national property of Spain, as it has kept its medieval appearance due to having lost importance in the 14th/15th century. 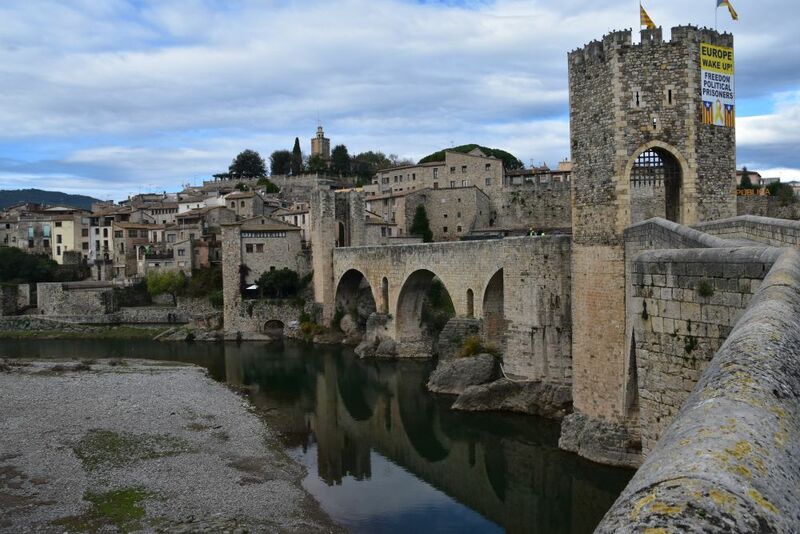 Though counting only 2500 inhabitants now, Besalú has clearly the appearance of a city, preserved from medieval times. The old bridge (Pont Vell) crosses the Fluvià river. It uses rocks as the natural basis for the arches which is the reason for it bending across the river. The small city crouches on a hill. To the left of the bridge, the remains of a Jewish site for ritual washing (Mikwah) have been found. 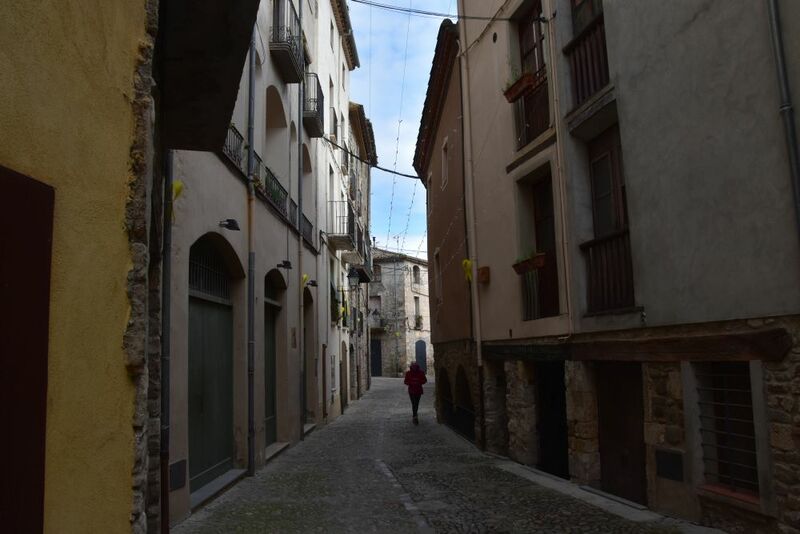 The medieval streets inside the city walls are narrow. The Plaça Llibertat is bordered by arches. 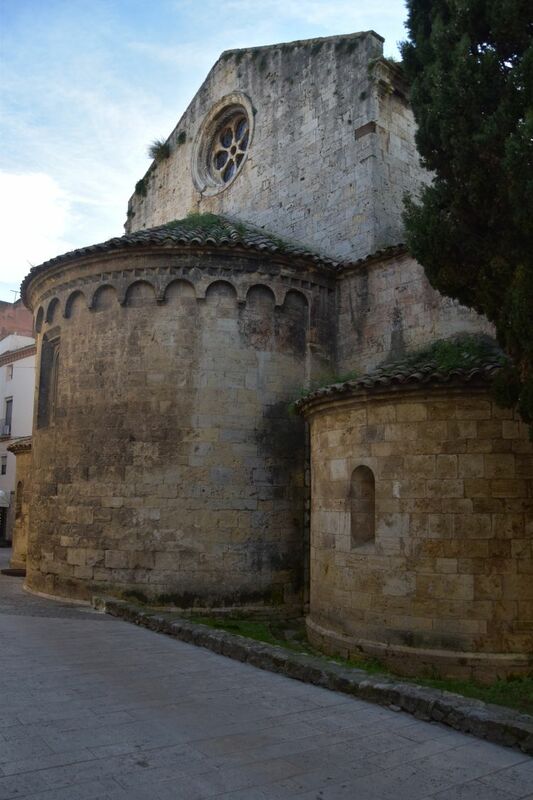 According to our “Dumont”, the style of the church San Vicenç is late Romanesque – beginning Gothic. 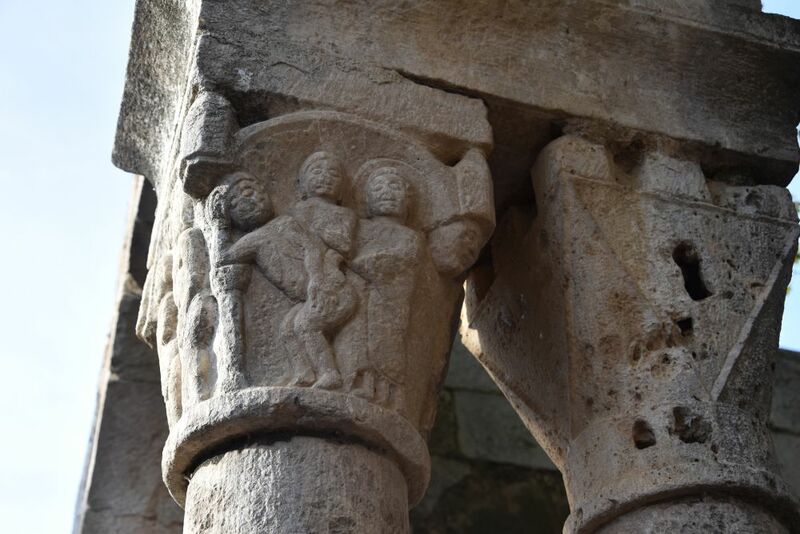 The choir seems Lombardian to me. The western side port is beautifully decorated. 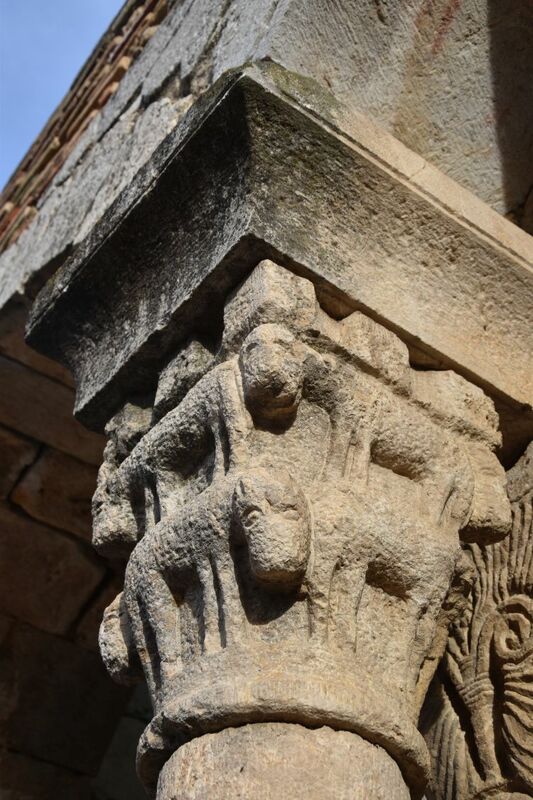 Fierce animals and a spiraled arch as well as plants are the elements of the decoration. 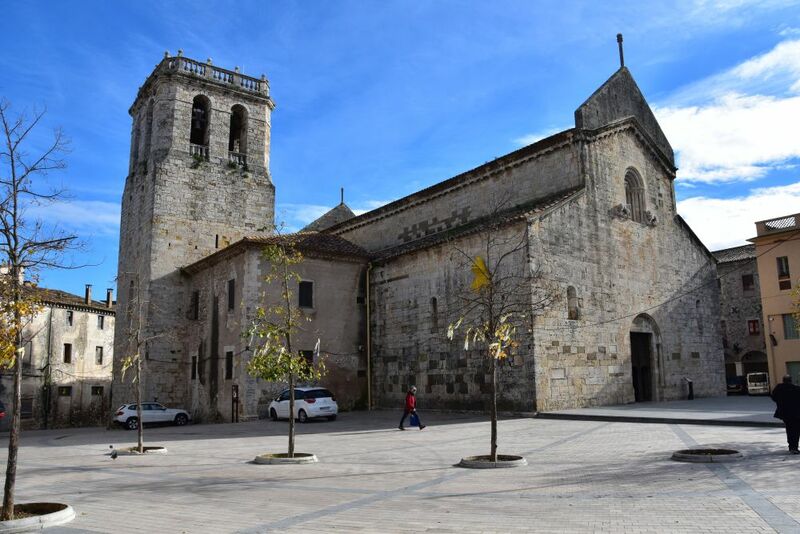 Besalú is a center on the pilgrimage route of Sant James and has therefore built the Hospital de Sant Julià. 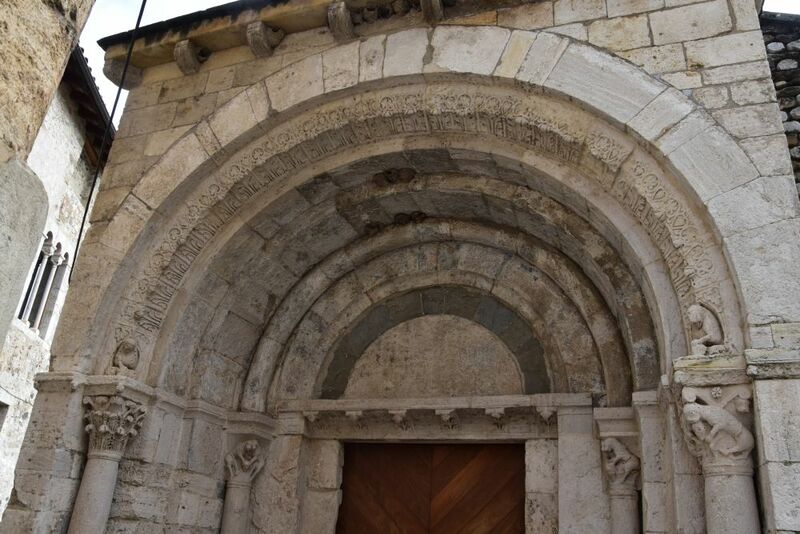 Constructed in the 12th century, it is now a museum. This gate is finely adorned. 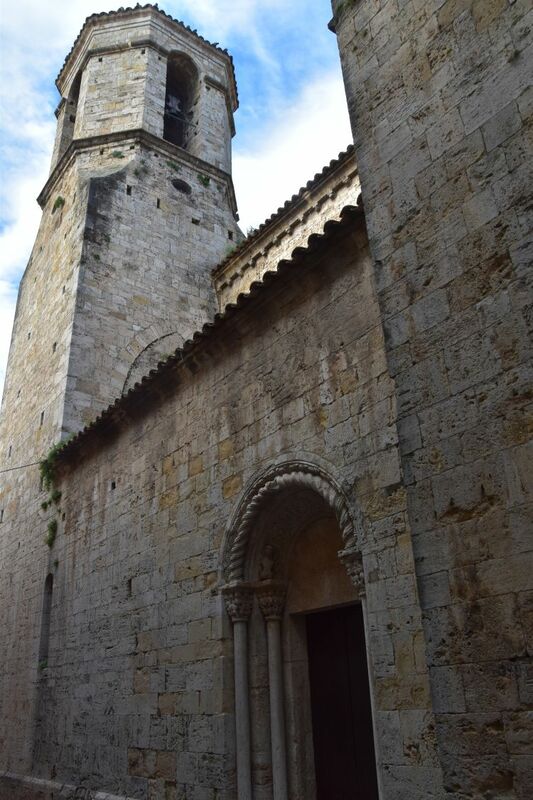 The Plaça de Sant Pere was once the Benedictine Sant Pere Monastery that has been destroyed around 1800 in the French Wars. 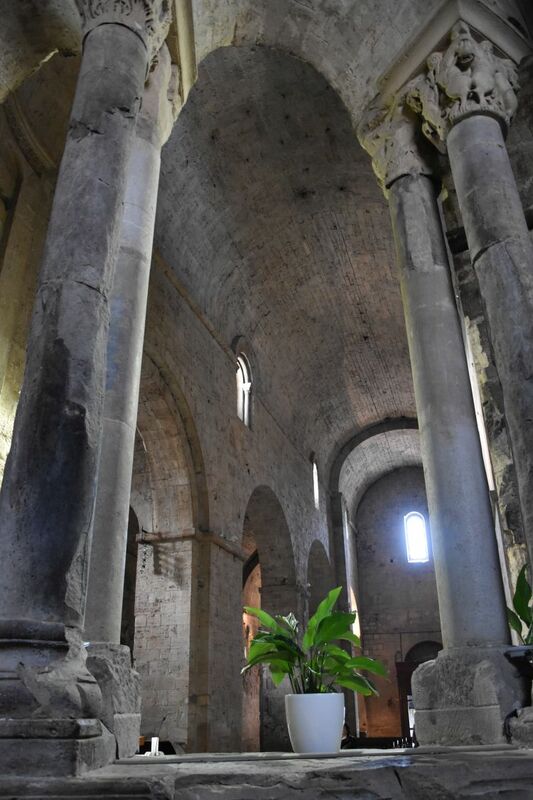 Only the church from the 12th century is left. 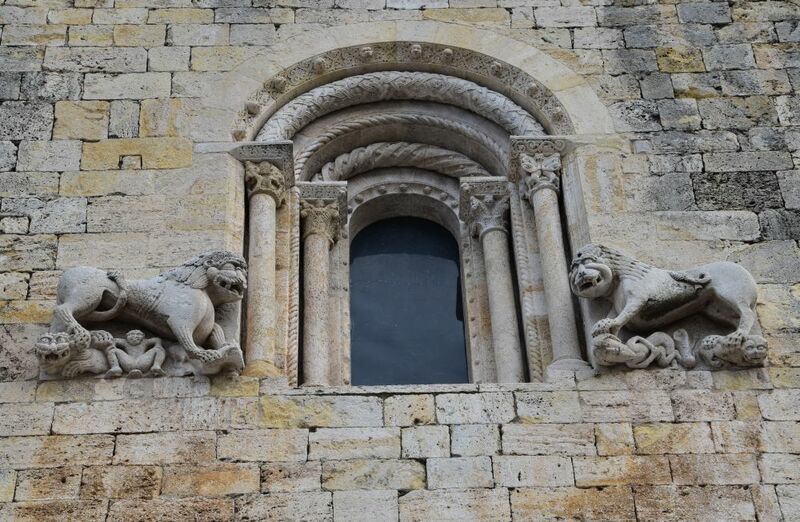 Below the gable on the western façade is this beautiful window with the two furious lions. The vaulted nave is sparsely illuminated by small windows. I took this foto from the ambulatory with its decorated columns. Before continuing our way, we have coffee in the friendly Xocolateria. 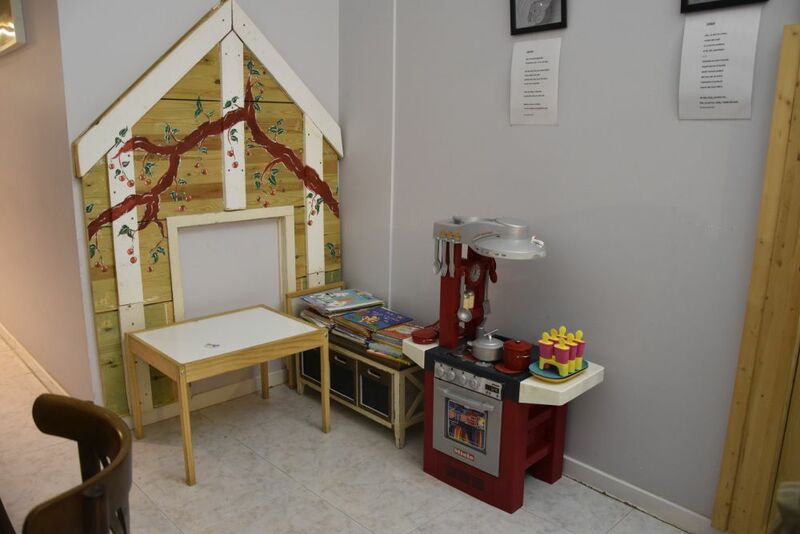 The kids corner has been installed with much care in this welcoming place – there is even rubber ice cream in the small kitchen. 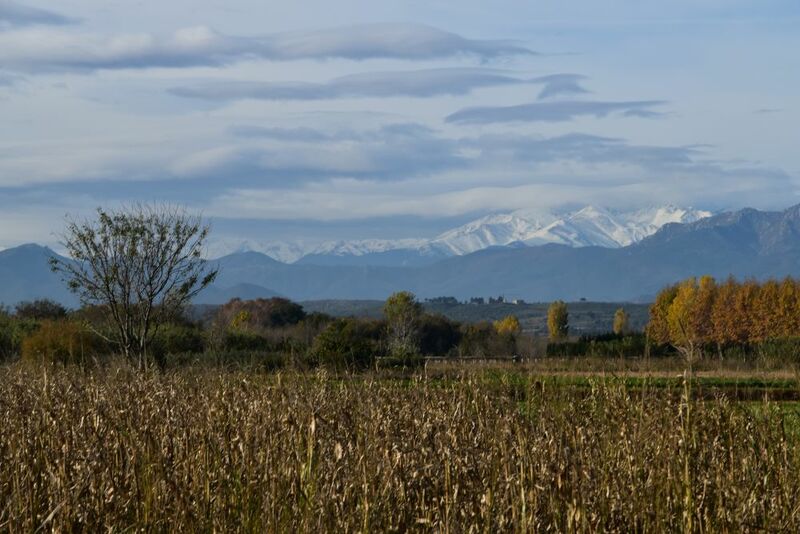 … and amidst the DOC wine region of Empordà. 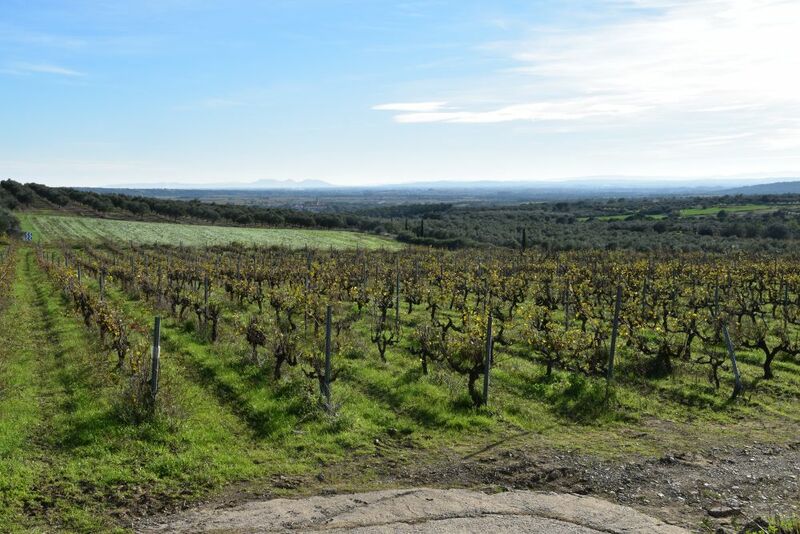 I acquired a bottle of cava “méthode champenoise” from here (more famous in Catalonia for the Penedès, but also elaborated here). 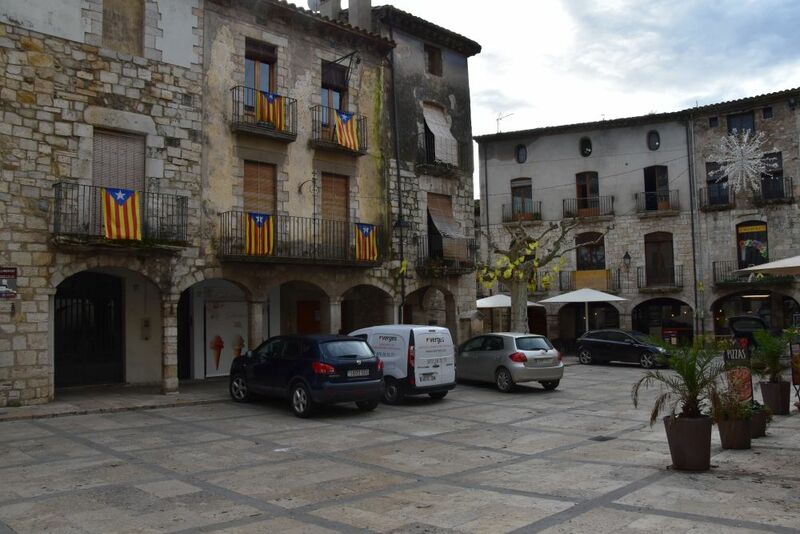 Peralada is a pretty small fortified town with narrow streets, located on a hill. 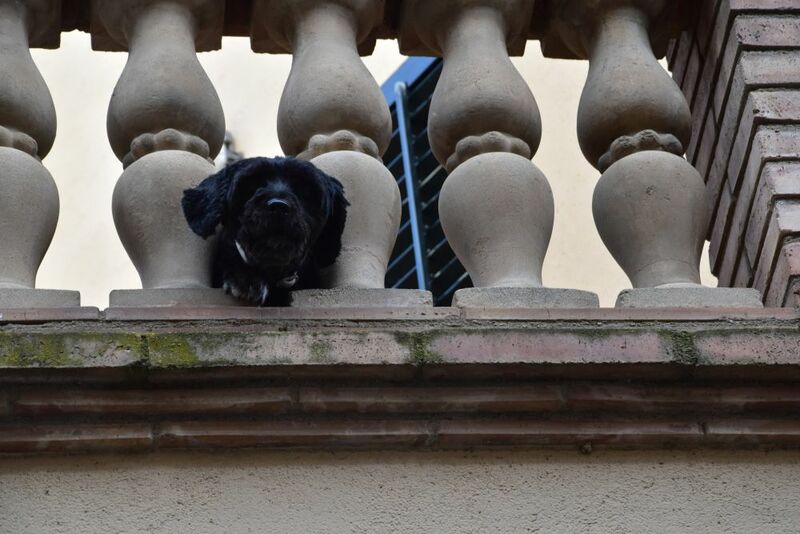 We visit the cloister of the ancient Augustinian monastery Sant Domènec from the 11th century. 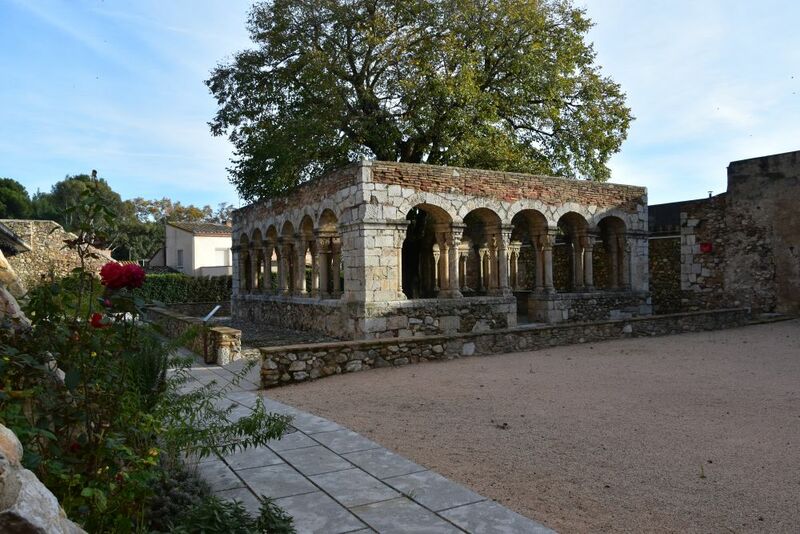 Only the cloister remains from the former monastery. 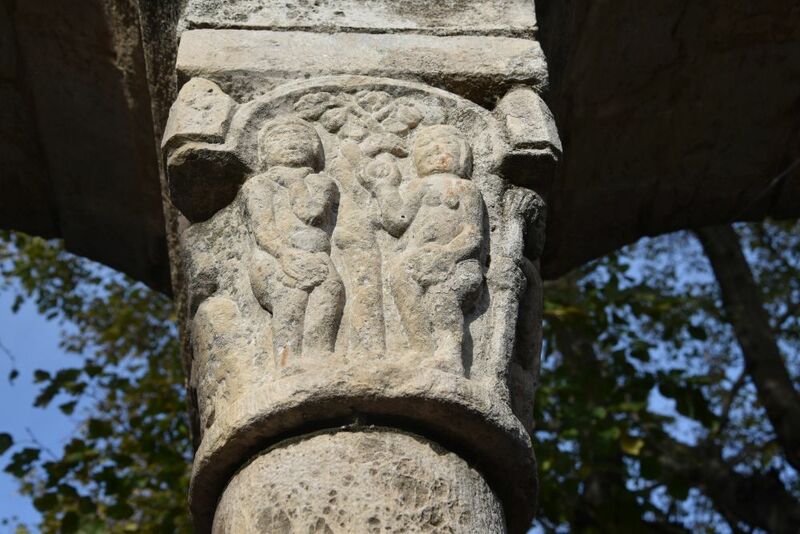 … and Adam and Eva in the paradise – well, they seem to have eaten the apple already. Now we continue our way through the hills to Cadaqués on the Mediterrenean Sea where we have booked two nights. 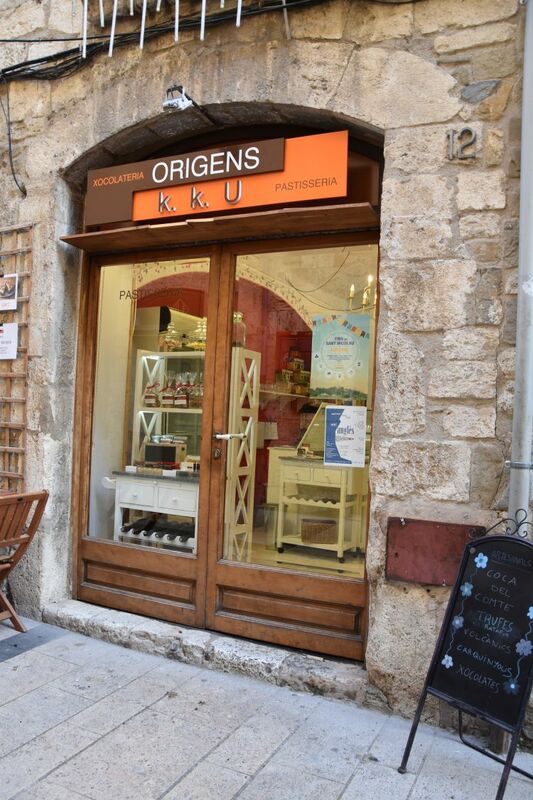 This entry was posted in Spain and tagged Besalu, Pelarda.